Social networks (RRSS) have been part of our lives for just over a decade. This has changed our way of relating to others, and our way of sharing knowledge and information. Social media is a social medium, a platform, application or means of online communication that many individuals use to create an online interaction in order to share ideas, news, and particular interests. In social media, it is possible to share articles, images, videos, audios, and chat conversations or videoconferences can be held. These include Facebook, Google+, YouTube, WordPress, Pinterest, Instagram, Twitter, LinkedIn, etc. Although the term social networks are used to refer to platforms such as Facebook, Twitter, Instagram, etc; in fact, this term is often misinterpreted (we explain it later). They are often confused with social media, but the first is not the platforms, but the interaction action performed by users. Therefore, both terms have a relationship but they are not the same. Social networks are online communities. In reality, it does not only refer to online communities but also those that are not. In this sense, social networks are, for example, the friends that a person has. However, in this article, and to avoid confusion, we will refer to social networks as social media and as online interaction communities. Although today social networks are part of the lives of all of us and we would hardly imagine our day to day lives without them, their historical origins are recent, dating back to 1994, when technological progress allowed some websites to offer the possibility of additional comments in forums, instant messages, and friends lists. Social networks allow the creation of communities of individuals with common interests, but there are different types, each with its own characteristics. How are social networks classified? The RRSS can be categorized in different ways. They are social networks that were not created for any type of specific user, but in them, all kinds of individuals interact, which, yes, can create their own communities. For example, anyone can participate in Facebook, Twitter, Google+, etc., and benefit from their use and available utilities. Are those that do address a specific audience. 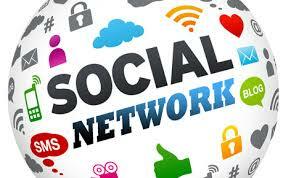 They are known as specialized social networks. They are a type of vertical social network, in which the participants are professionals who interact with work objectives. For example, companies or workers from different sectors. The best known is LinkedIn. The theme of this type of vertical social network revolves around different tamas: sports, music, video games … Wiley or Dogster are some examples. The bankrupt Bananity also wanted to make a hole in this type of networks. They combine both professional and leisure themes, therefore, they are less formal, for example, than LinkedIn. Unience is one of the most outstanding. They are intended for the university public. In them, students can chat, get to know each other and, at the same time, download notes. Patatabrava is one of the best known. Some social media allow people to post various news or links to external articles and then allow users to “vote” on these articles. The items that get the most votes are the most prominent. The community of Internet users decides what news is seen by more people. The most popular are Digg and Reedit. For Spanish-speaking users, there are several websites with the same philosophy. Perhaps the most relevant is Minima. Blogs are social media in which opinions, stories, articles and links to other websites are recorded from a personal site. Word Press and Blogger are the best known. Blogs allow the creation of interactive environments, in which individuals with common interests come into contact. In the field of Psychology, the best known is psicologymente.net, which receives more than 8 million monthly visits. Anyway, there is no clear line between a blogging portal and a web dedicated to publishing on a specific topic. These are characterized by the publication of very short entries or updates that allow for the transfer of interaction and for individuals to interact. Users can subscribe to other users’ content, send direct messages and respond publicly. Also, create and share hashtags to get the content on topics related to many individuals. Twitter and Tumblers are the best known. That allows you to upload and share various content, such as images or video. Most services have additional social functions such as profiles, comments, etc.